Sato, whose hometown is Tokyo, first fell in love with racing while watching a Formula One race at Suzuka Circuit at 10 years old. 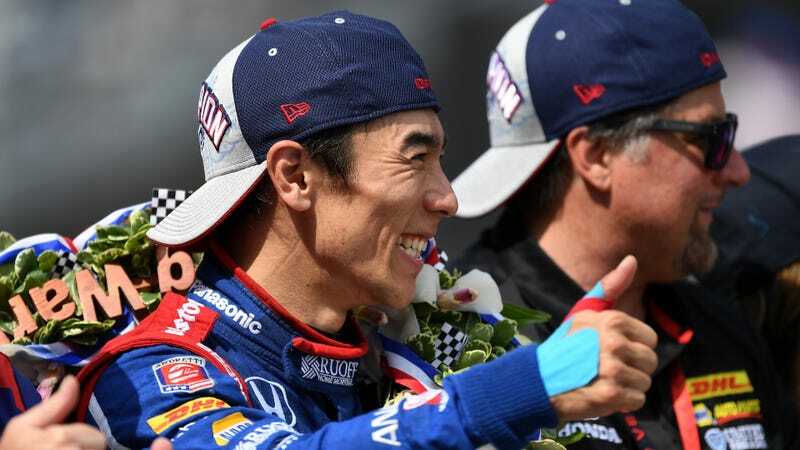 He became the first Japanese driver to win the Indy 500 with his late pass over Helio Castroneves on Sunday, but not everyone appears to be sharing in the celebration. After the Denver Post fired former columnist Terry Frei for tweeting that he was “very uncomfortable with a Japanese driver winning the Indianapolis 500 on Memorial Day weekend,” the Andretti team had to address similar messages on its Facebook page. Sure, winning the Verizon IndyCar Series’ biggest race and $2.5 million is great. But $2.5 million can’t buy a person a mental shield against prejudiced, hateful commentary that shouldn’t be there in the first place.